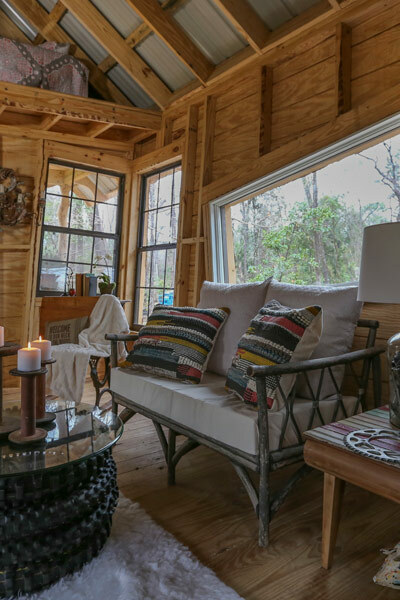 Cigi and John Shea wanted a weekend getaway on their northern Florida property near the Suwanne River as a place to escape to on weekends from their city lives. They had been camping out there for years, but the Guys created a place that surely got them off the ground in fine style! Designed by B’fer, built by B’fer, Ka-V and Clint. 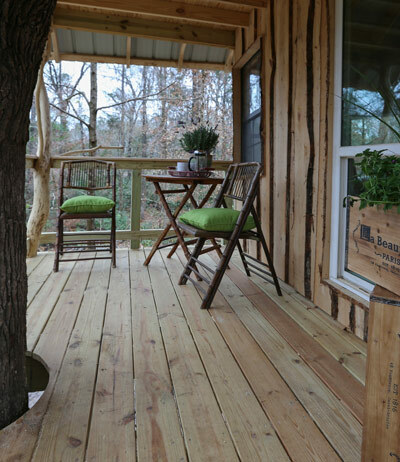 “The Treehouse Guys” crew got to work last week and hope to have the project completed by the end of March under their $70,000 budget. The first floor platform is already starting to take shape, and the next step in the process once the floor is complete is a stress test. 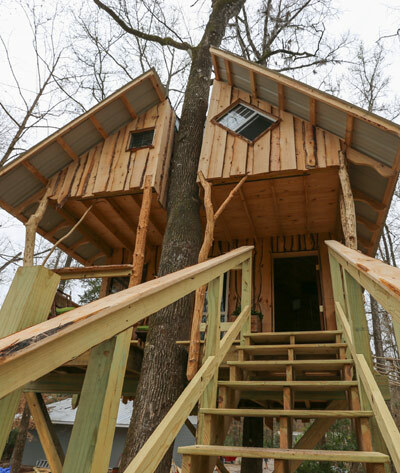 The stress test will determine how much weight the treehouse can hold and will be completed using large barrels filled with 32,000 gallons of water. 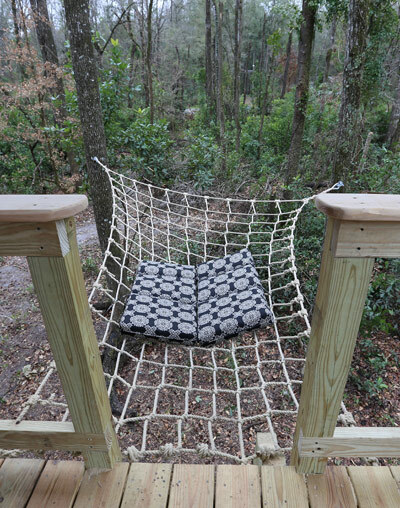 According to Suwannee River Water Management District documents, the treehouse will be constructed above the 100-year flood elevation level and will not impede the flow of the Suwannee River during flood stage. 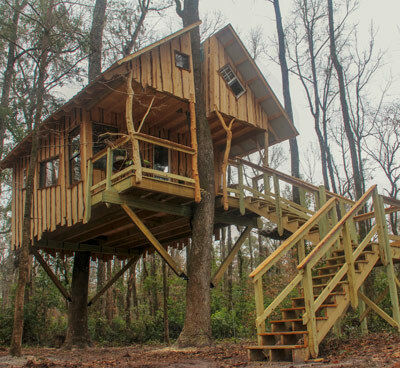 The TV show had to obtain special permitting from the SRWMD because the treehouse is being built within a 75-foot buffer of the river, and according to White, the SOSMP will be restoring the surrounding land with vegetation and restricting traffic to the site to preserve the area. 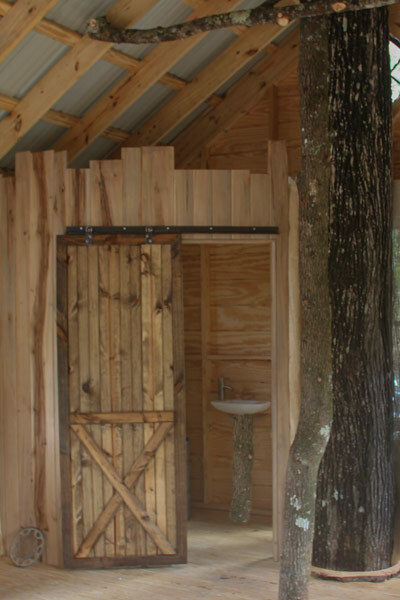 When finished, the treehouse will have two floors, a custom spiral staircase, bedroom, bathroom and small living area. It will be available to rent to guests looking for a lofty retreat with a locally styled artistic interior, according to White. “It will be ‘majestically eclectic,’” she said.